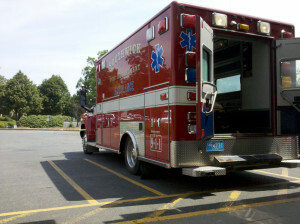 The Town of Southwick Fire Department – a progressive Fire Department located in Southern Western Massachusetts is accepting applications for a full time Captain – Firefighter/Paramedic. This is a working Captain position responding to fire and EMS calls in addition to the day to day operations of the fire department under the direction of the Fire Chief. Consideration given for balance of experience, service volume, and qualifications. Finalist will be required to complete a medical examination/drug screening, CORI, and extensive background check including psychological test, and other assessments as deemed necessary. Successful candidates shall also be responsible for passing the Commonwealth of Massachusetts fire physical abilities test (PAT). Employment will be contingent upon the results of these examinations, tests and screenings. Southwick Fire Department currently works a 12 hr. / 4 on 4 off schedule. The Town of Southwick is an Equal Opportunity Employer.